As UX (user experience) design progresses, web designers and web developers’ responsibilities extend to planning, testing and making sure that what they built are user-friendly and can be easily predicted, understood and used by their target users. But as technology competency differs across ages, designers and developers try their best to meet in the middle for all users. Which is why user-friendliness is relative. While software companies put in a lot of time and effort into building an intuitive and easy-to-learn software, it is inevitable that first-time users will experience difficulties when using something new. From live chats and documentations to help forums and e-mail support, you can always expect the the software’s creators to provide help and support to guide you through using the software in the form of links, chat boxes, demonstration and more. Even Facebook required some amount of getting-to-know when you first signed up. A good UX design will allow you to have a gradual and progressive learning curve. Still, the bottom line is to expect a certain amount of learning made easy by the creators. Most softwares continuously update and develop their platforms to meet the standards of technology advancements and the expectations of their users. 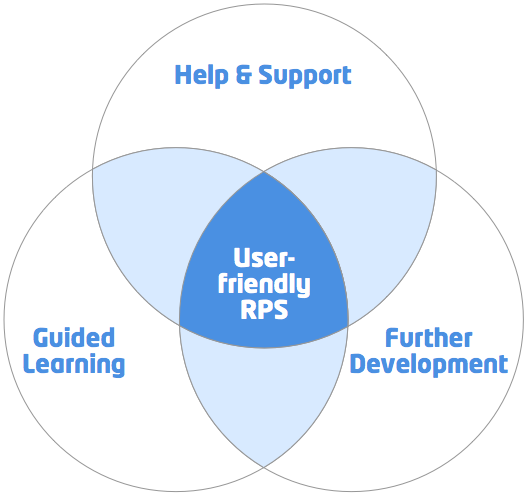 Suggestions from users are brought to the table, discussed and implemented if appropriate. From this, expect better user experience surfacing. With these in mind, visit our Helpdesk, contact our support engineers or register for a personal demo for help and support. And once you sign up, you will receive e-mails to walk you through the features you need for your planning. Ganttic was built to improve efficiency and productivity in resource planning, so further development will follow as we work on making resource planning a better experience for you.